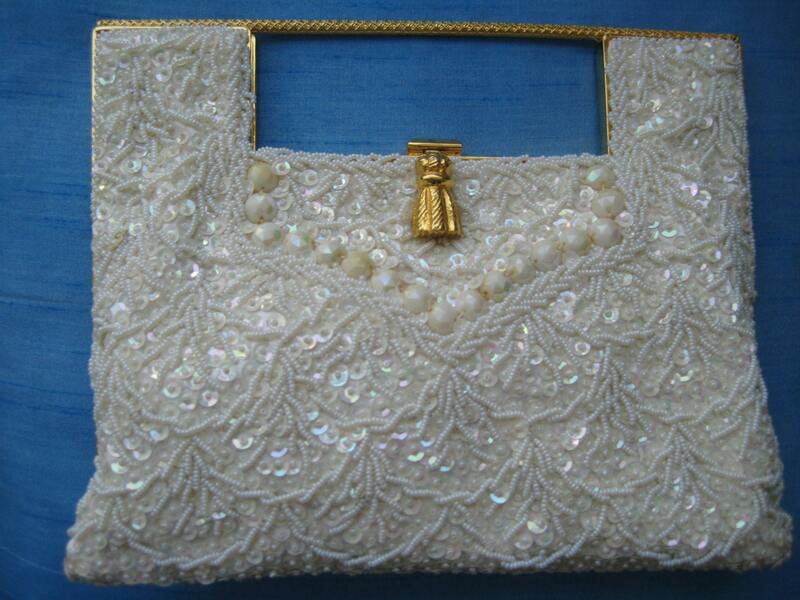 Gorgeous sequined evening bag with beads from Italy. Gold tone frame and handle. Metal tassel catch. 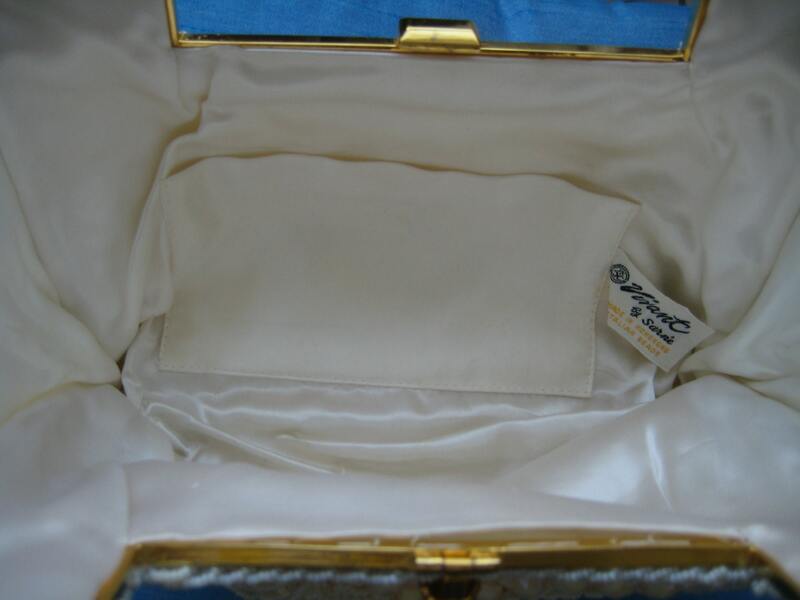 White silk interior in perfect condition with one patch pocket. 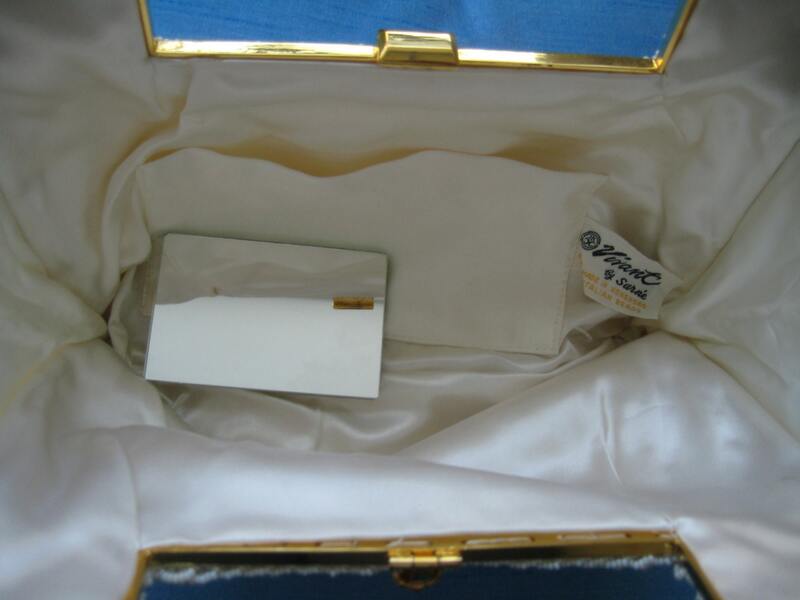 Original two-sided hand mirror. Label reads Vivant by Sarne. 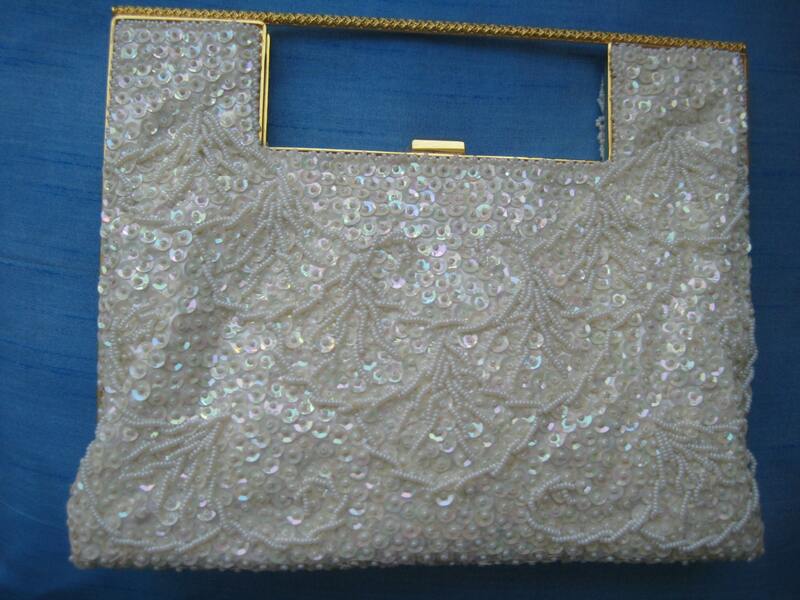 Stunning bag for wedding season. Dimensions: 8 inches long x 8 inches tall.